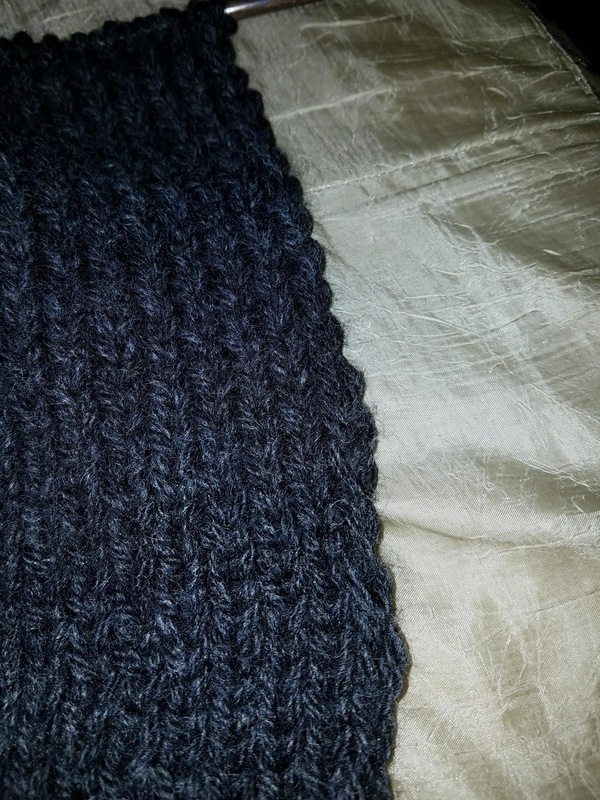 I finally finished with Little Man's scarf, and started back on my Veronika. I did the math, and to get the largest size with my gauge, I need to follow the directions for the Size 1. And you know what? I think after blocking, it will be just fine. 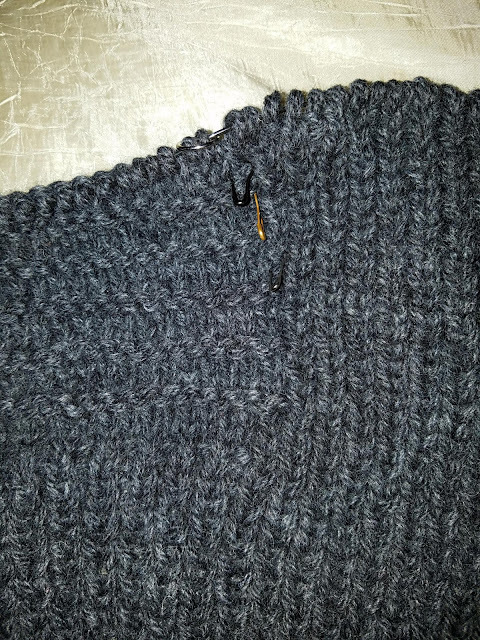 I have made 2 adjustments to knitting it this time: first, I am slipping the first stitch to create a neater edge to the collar. It looks lovely and smooth now. Second, I am placing a removable stitch marker at every increase. This is more for me, so I do not have to search for them when counting. I have wrapped the purchased gifts, but the handmade gifts still need to be wrapped. I am working on some goals/objectives/directions for this year. That may sound a bit vague, but there is always opposition to certain words. Moving forward is the biggest concern. There are many things happening and that I would like to happen. Decisions are being made and steps taken. I will divulge more as we get closer to the end of the year.